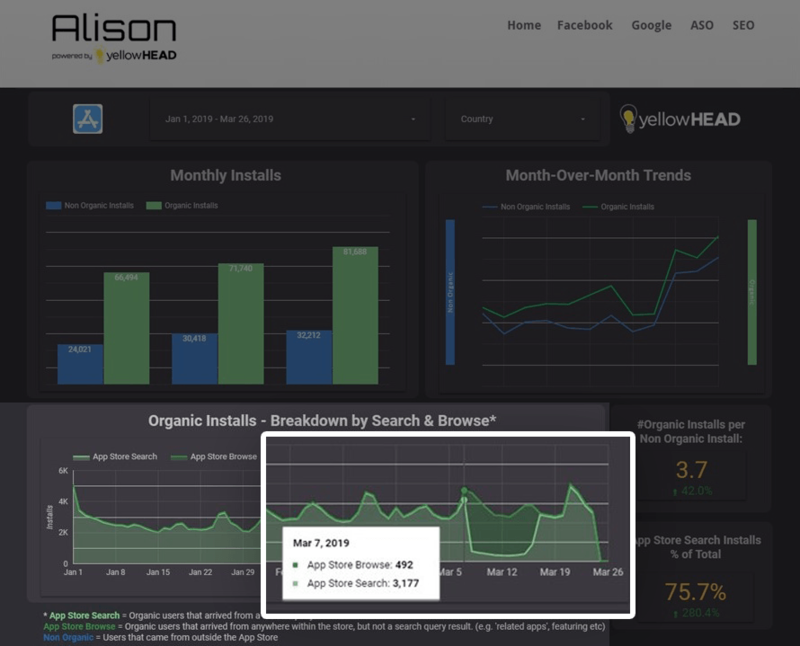 The yellowHEAD ASO team recently identified an anomaly in the metrics reports in iOS App Store Connect – and we should all be aware of it. Throughout March 2019, we saw that overall organic totals were more or less consistent in trend over the month. When drilling down to review the impact of App Store Search in particular, however, we noticed a distinct aberration: During the period of March 6-17, we saw a sharp decrease in App Store Search and a corresponding increase in App Store Browse. The organic Source Type appeared to have ‘switched’ for the span of ~11 days. As part of our routine analysis, our ASO team breaks down the data from the Google Play and iOS App Store developer consoles into actionable insights. Using our analytics tool, Alison, we automatically extract this data as it pertains to ASO, for the benefit of the ASO team and our clients. We can deliver insights on trends in the organic funnel as it compares to the paid funnel, and vice versa. Furthermore, through Alison, we can also identify unusual trends and drill-down to investigate further. In this case, we noticed the decrease with an app in App Store Search and immediately checked our keyword rankings, which remained intact overall. When we saw that App Store Browse shot up in that same period, we checked if the app had been featured, but to no avail. The proverbial alarm bells rang – an attribution error within App Store Connect. After checking the hypothesis with metrics of many different apps in a variety of verticals, we found consistent trends on those dates across the board. We also quickly concluded that the trend is common worldwide – all countries show the same organic ‘switch’ in that period. So, when you see a peculiarity in your Organic Search-Browse metrics, we hope we have saved you the manic search for answers. And don’t fret! The trend has gone back to normal. Just keep it in mind if you are confused by those dates. 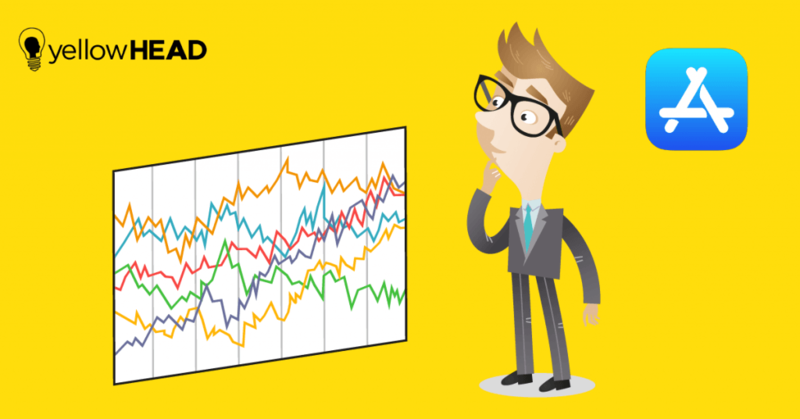 Stay tuned to yellowHEAD’s ASO blog for other important updates and competitive intelligence! Alison and its Breakdown of Organic Install Metrics: The Switch of Source Type during May 6-11, 2019.